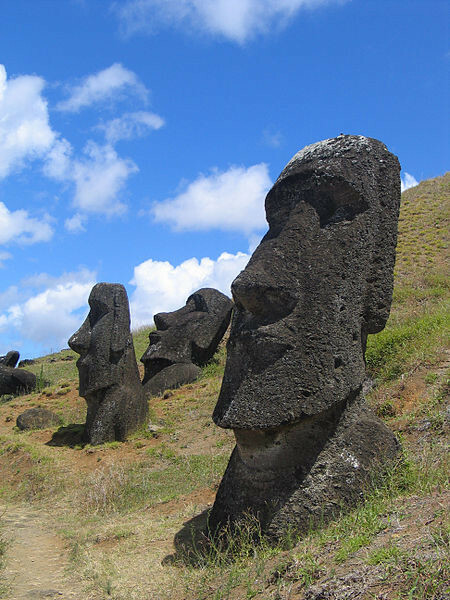 Easter Island is famous for their enormous stone heads called moai. 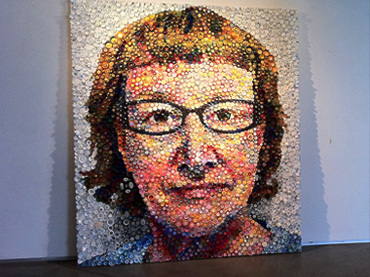 But you probably did not know that these famous head sculptures have a bigger truth that lies beneath them. 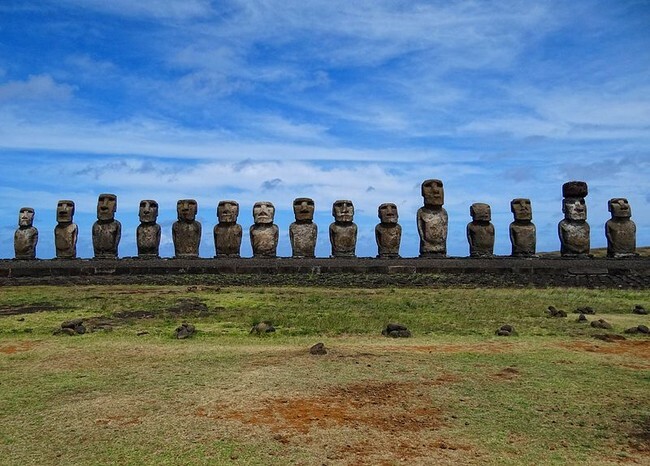 Between 1250 and 1500 CE, people of Rapa Nui, who came from the land of Polynesia, had built these statues, which now tally a total of 887 in the island, with the tallest of the moai standing at 30 feet tall and weighing at 82 tons. Evidences suggested that many of them were relocated around the island despite the heavy weight. 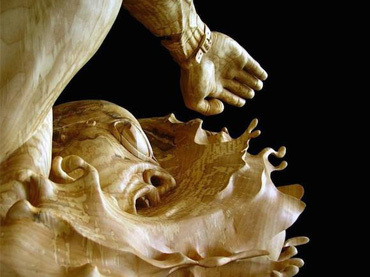 The carvings were originally positioned to gaze out over their ancestral lands as their deities. This field is bombarded with moai heads, which have been sitting here for hundreds of years now. 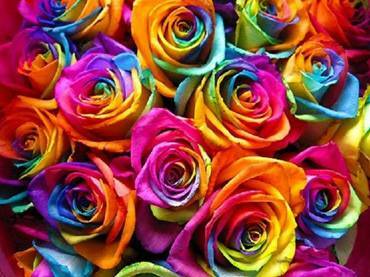 However, there are things that exist which don’t meet the naked eyes. 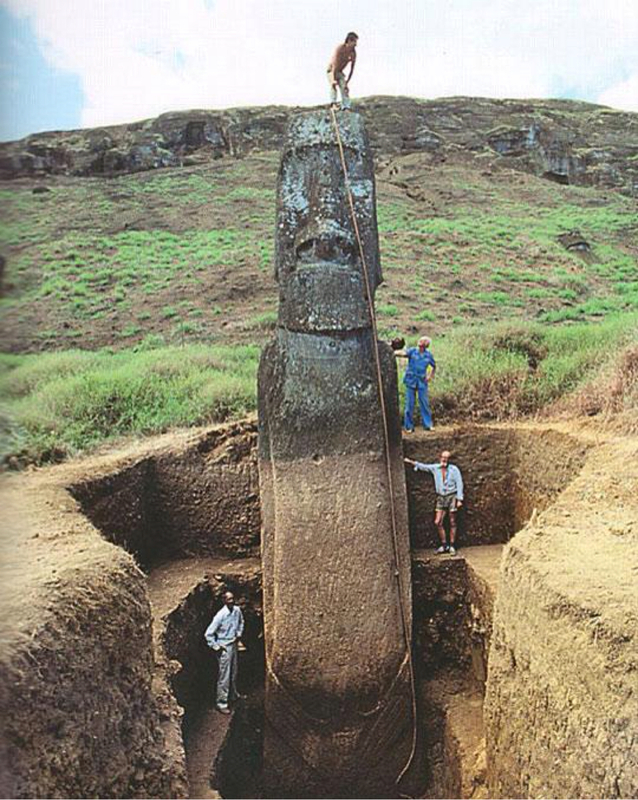 During excavations, researchers found that moais actually have bodies that were buried underground. 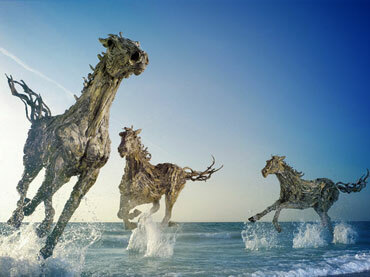 It turns out that changes in the land have buried these statues neck-deep in earth. 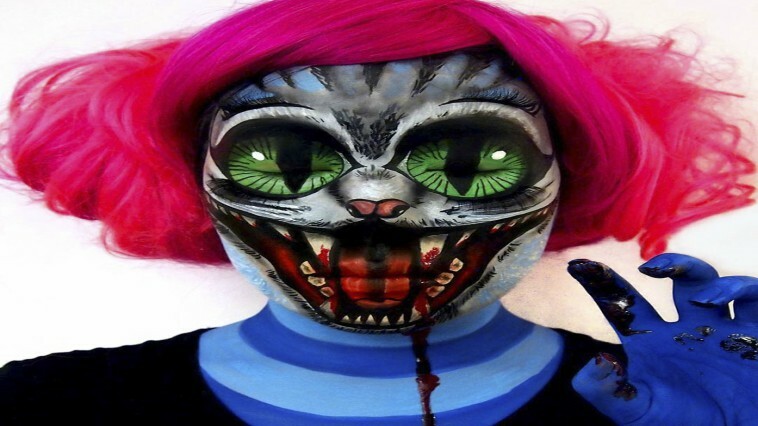 The bodies that were discovered extend several meters underground. All over them are petroglyphs that are yet to be deciphered by experts. 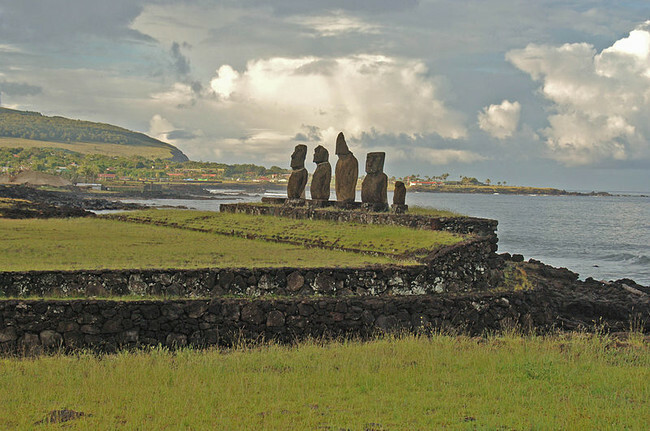 These are some of the excavated statues at Ahu Tongariki. 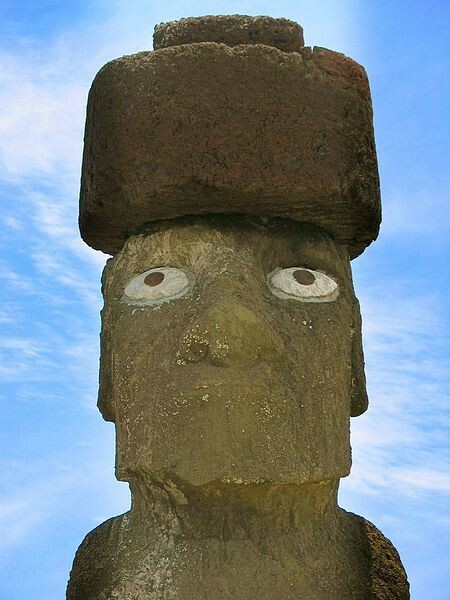 Some of the moais have topknots on their heads called the pukao. This head accessory is usually worn by chieftains. 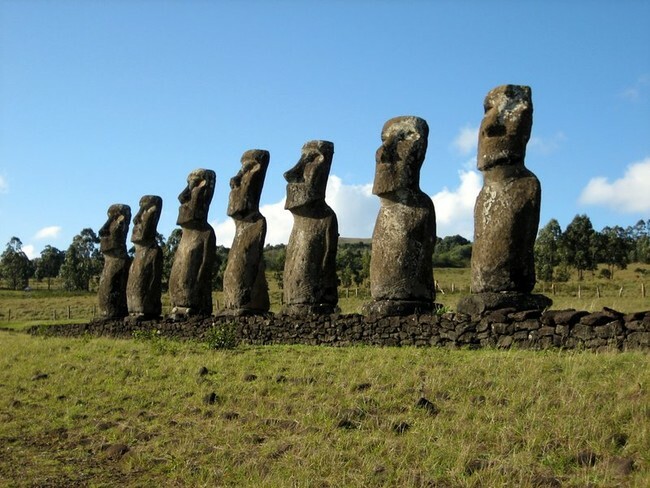 Usually, moais are situated near coasts, but this group was excavated inland and was considered the farthest statues to be located from the seaside. 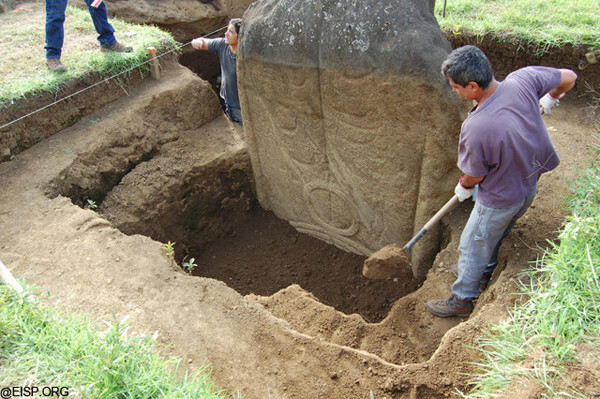 A lot of digging has revealed the body of moais below the surface. The excavation has also discovered carvings in the sculptures’ backs. 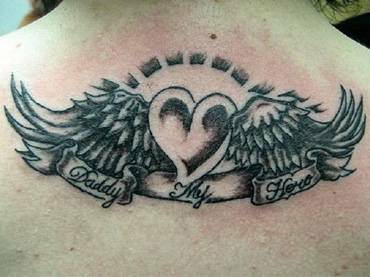 However, the meaning of these marks have not been cracked yet. 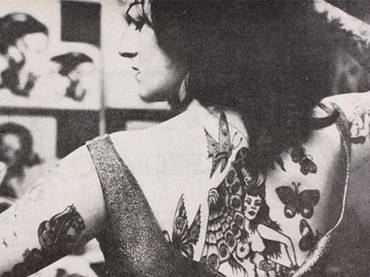 According to the researchers, the markings may possibly represent traditional Rapa Nui tattoos that they had. They have also pondered on the possibility that they serve as means of communication to depict the story of a particular ancestor. When 1500s came around, the construction of these statues ceased, which led into the shifting of people’s religion into worshiping a half-man and half-bird figure. It is until the 1700s when the world lost the knowledge about maois as the island’s clans broke into war. 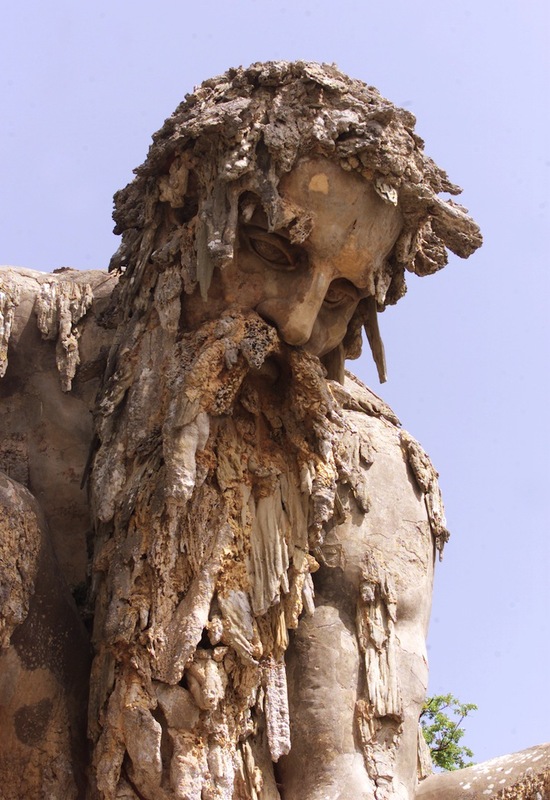 Many statues have been destroyed in the struggle for power over the entire land. After this incident, all people from this island suffered food shortages and deforestation. Christian missionaries then colonized the land, and they began to shun away their paganistic traditions. 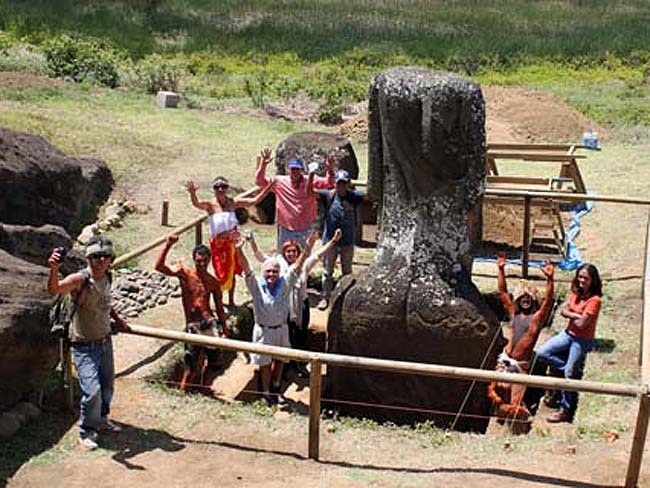 When this happened, the truth behind moais were lost in the history. 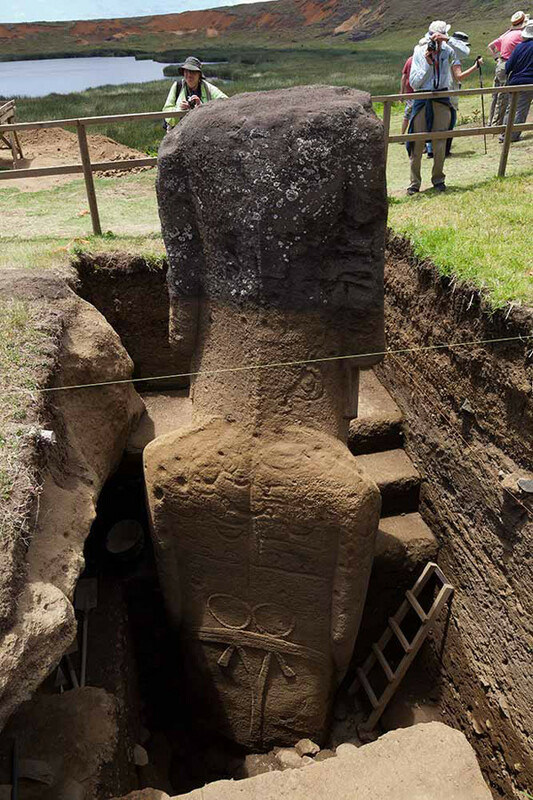 At present, more than fifty moais have been restored, dug up, and reerected in their original spots. 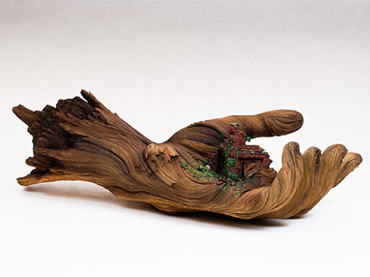 Some were also shipped into museums all over the world. 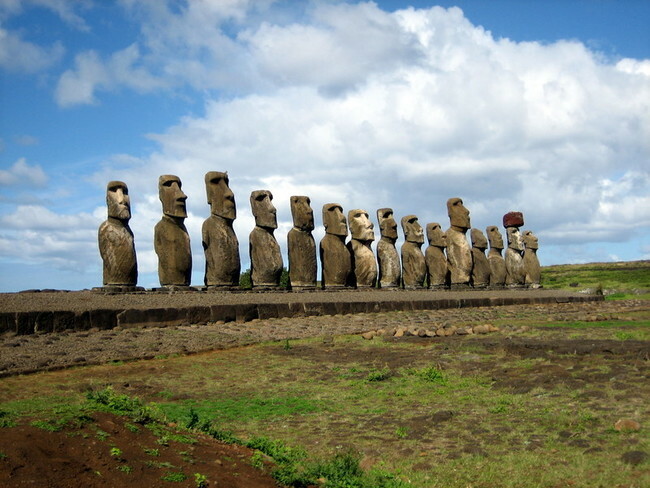 UNESCO has included Easter Island as one of the World Heritage Sites. 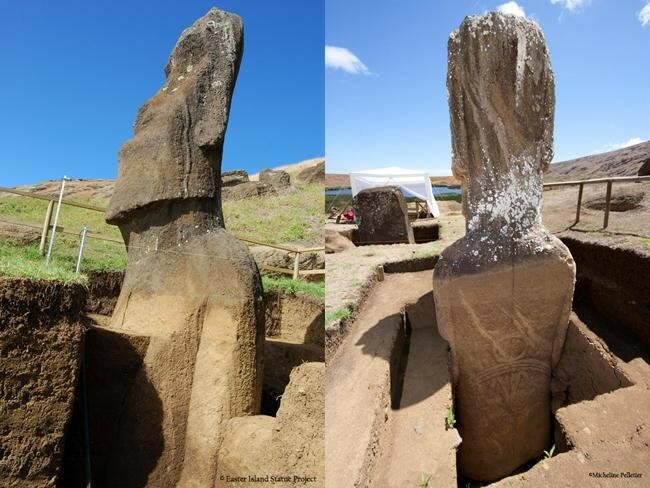 Also, organizations such as the Easter Island Statue Project are making an effort to provide better understanding about the statues, from its history to its excavation. 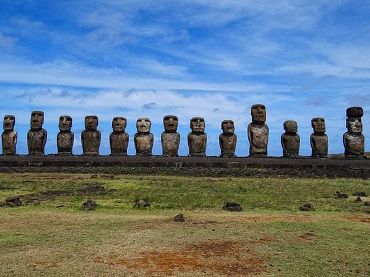 So if you ever visit Easter Island, do not miss out on the opportunity to pay a visit to these amazing structures. 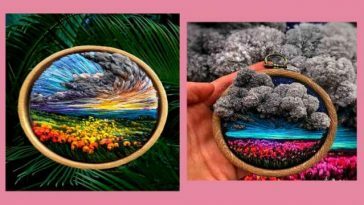 This Artist Creates Stunning Murals, But She Doesn’t Use Paint …This is Too Cool!